It took a long time for this necklace to come together. 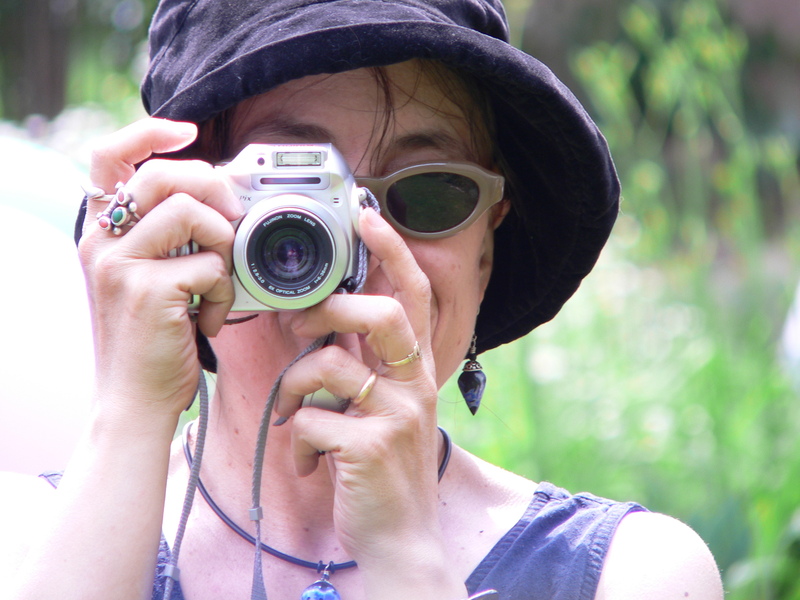 My friend Jeanne gave me the amber after her husband died. I got the coral, turquoise and Balinese beads at an outside art show in Portland, Oregon. 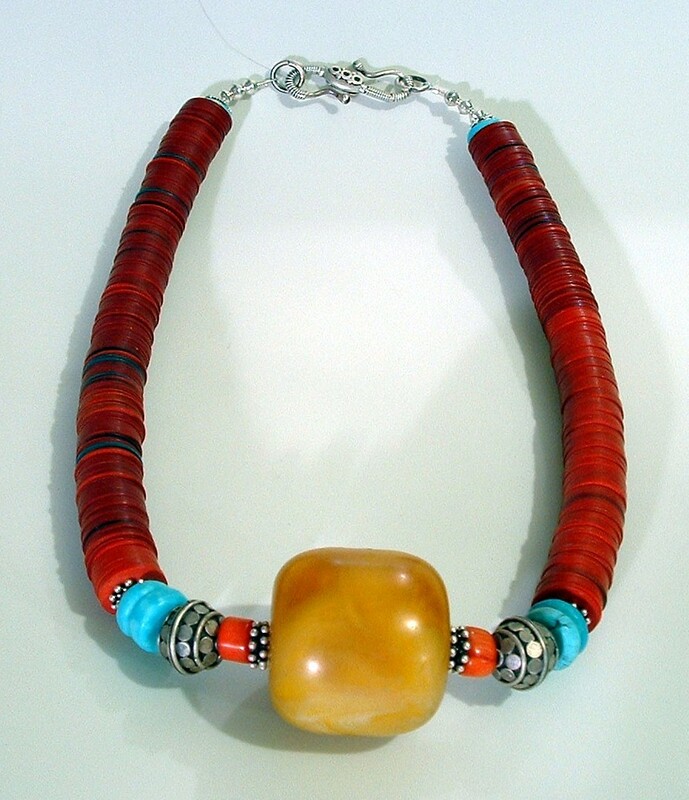 I bought the red disc beads-actually made in Africa from old phonograph records-at a bead show. The beads spoke to me one day and I put together the necklace below. I couldn’t find the right clasp to save my life, so, with some basic wire skills I learned in a glass from my Beading Yoda Jeri Schatz, I made a clasp. And then I made more clasps. 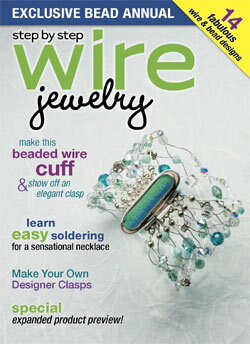 And then I wrote an article on how to make clasps which is in the latest edition of Step By Step Wire Jewelry. 6 replies to Make Your Own Clasps! 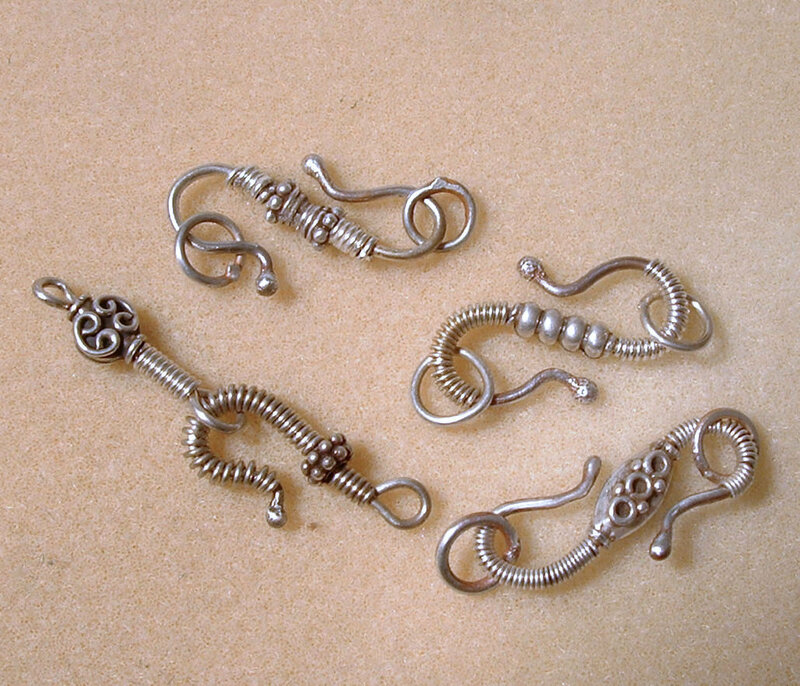 These clasps had some welded elements not as easy to make for everyone. A little deceiving.